Lucia was born into a musician family in Malmö, Sweden 1985 and started to play the bassoon at the age of 10. 2006 she was accepted into Malmö Academy of Music were she studied and finished her bachelor degree with Pro-fessor Asger Svendsen. 2009 after her studies in Malmö Lucia travelled to Verona in Italy, where she studied for half a year at the Conserva-torio Statale di Musica with Professor Eros Adami. 2010 she was accepted to the Royal Danish Academy of Music were she did her masters and studied for Audun Hal-vorsen and later on in 2013 got accepted into the Advanced Postgraduate Program for Ensembles with Trio Amerise. Lucia has during her years of study in Malmö and Copenhagen participated in masterclasses and recieved privat lessoons from name such as Ole Kristian Dahl (Principal bassoon at WDR-Symphony orchestra Köln), Henrik Blixt principal bassoon in the Swedish Radio Symphony Orchestra, Audun Halvorsen, principal bassoon in the Danish National Symphony Orchestra. 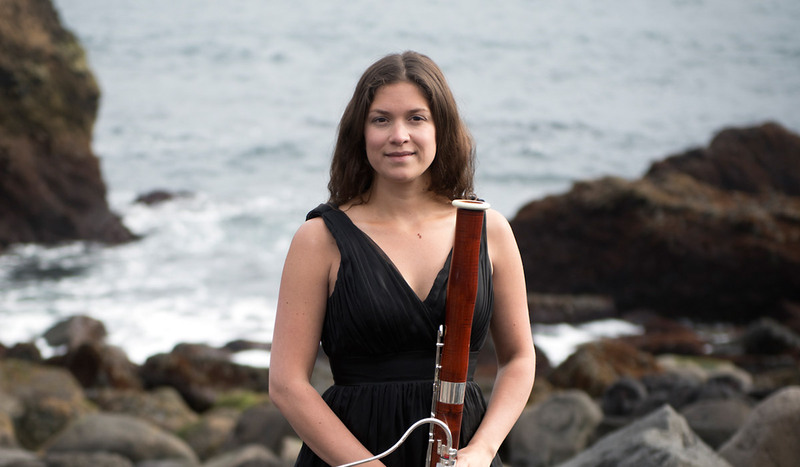 Lucia is an active orchestral musician both on bassoon and contra-bassoon and has had longer working contracts in orchestras such as The Danish National Symphony Orchestra, Sønderjyllands Symphony Orchestra, Malmö Opera. She has also played with Rotterdam Philharmonic Orchestra, Lübeck Philharmonic Orchestra, Danish Chamber Or-chestra, Malmö Symphony Orchestra, The Royal Danish Orchestra, Helsingborg Symphony Orchestra , Copenhagen Phil and Odense Symphony Orchestra. Chambermusic plays an important role in Lucias life were she plays in various ensembles and chambermusicfestivals both in Denmark and Sweden.